It's not overly sweet, which is to be expected for a cocktail with less than 40 calories per 2 oz. serving. There isn't that nasty 'fake sweetener' taste that you find in diet sodas and diet drinks. I hate that flavor. And I can't imagine it going well with tequilla. It packs a punch with 13% alcohol by volume (26 proof). You'll 'feel it' after one drink, I promise. Overall, I'm impressed. I'd buy it again (much to Lee's chagrin). It's an easy go-to cocktail for hot weather/laying by the pool/sitting on the deck-type activities. 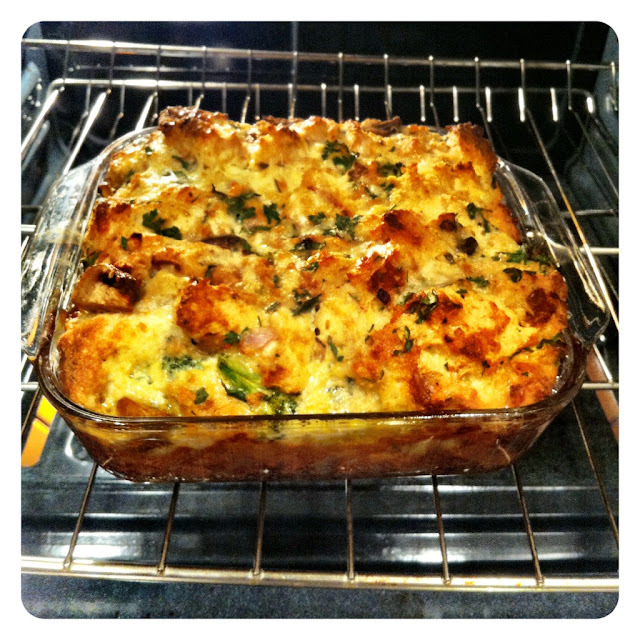 And dinner tonight.... Mushroom & Herb Strata. It is to die. Make it. You won't regret it. Non-Garmin stats: Living room 'boxing' + upper body weights, followed by 45 minutes of yoga... there was a lot of 'warrior 1 & 2' and 'chair pose' once again. I *might* be sore tomorrow. 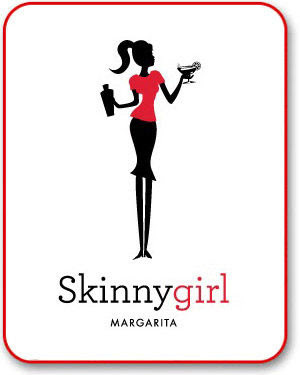 I always wondered about the Skinny Girl stuff. I can't get over how much she sold that company for! !